Do you know how much are ANTI-AGING and IMMUNITY connected? 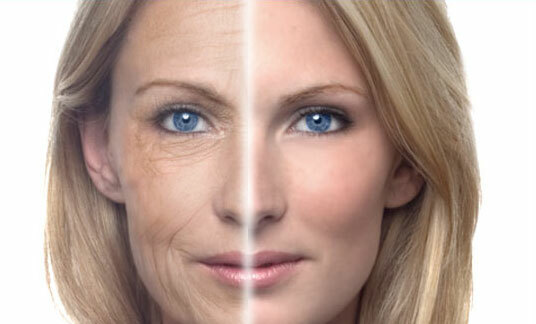 How to stay young and never be ill again? In order to look young and well kept as long as possible, live a long life without disease, it is necessary to learn how to prevent and completely change the effects of aging and disease. It is completely clear to us that while the immunity unimpaired, neither AIDS nor cancer are developed, or any other latent disease, which exists in every organism. As we age, the functioning of vital organs begins to decrease. Any illness, even cold accelerates aging, makes you even sicker and causes other diseases. There is only one disease-poor functioning of cells or inaccuracy common to all chronic diseases, a process called inflammation. No matter what disease you have, a large part of your problem is inflammation. Inflammation is a natural and healthy process. When necessary, the inflammation is beneficial, but is terribly harmful when it is chronic. Chronic inflammation generates a continuous flow of free radicals which congest antioxidant defense and damage DNA, causing aging and various diseases, including heart disease, cancer, diabetes, osteoporosis, arthritis, allergies, Alzheimer’s disease, autoimmune diseases and infections. Close corelation between inflammation, depression and heart disease has led some researchers to the theory that inflammation may be a mediator between these two conditions: depression may lead to heart disease, and heart disease often causes depression. By learning how to prevent and reverse effects of inflammation, you learn how to stay young and never be sick. It has been found that aging is associated with aging immunity, and it is partly linked to loss of function of T lymphocytes. Immunity fights against “foreign invaders” like bacteria, viruses, fungi and parasites. Moreover, the supervisory functions of immunity often prevent cancer, especially in old age. However, excessively active or unbalanced immune system may lead to the emergence of allergies or autoimmune disorders. Built and balanced immune system is essential for the preservation of health. In essence energy arrives from the Sun, but humans are unable to convert it directly to run metabolic processes. Therefore, we depend on photosynthesis to convert solar energy into chemical storage (in the form of carbohydrate). Through catabolic metabolism, carbohydrate is converted into the energy currency of ATP, it is the principal carrier of energy for all forms of life. ATP is estimated to provide 95% for all cellular energy throughout the body. It becomes immediately apparent that ATP must be constantly and effectively synthesized to provide a continuous supply of energy. Perhaps it’s not surprising then, that when an interruption of the energy producing substances (such as oxygen or blood carrying nutrients) occurs, (such as a heart attack or stroke) that as the production of ATP is effected a cascade of free-radical damage begins.Recent research indicates that it may be an ATP-imbalance, that leads to increased neuronal cell death. Scientists are increasingly accepting our theory that aging begins in mitochondria cells that make life energy (ATP). No wonder that Cordyceps suddenly became world famous when in 1993 at the Chinese National Games, 9 world records were broken. It has, among other things, an extraordinary ability to increase ATP (30%) and oxygen usage (40%). Numerous studies have shown that Cordyceps sinesnis, considered the most potent and most expensive plant in the world (1 kg = $ 40.000) can stimulate or suppress cell response and immunity both in vitro and in vivo, slows aging, has an exceptional antiviral, antibacterial, anti – inflammatory properties, hypoglycemic effect, acting antirheumatical and antiallergic, strengthens the libido and enhances physical strength and endurance. 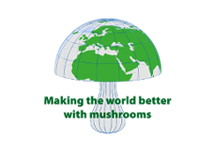 Although the central issue of most researchers who study medical mushrooms in the world is their anti cancer effect, they are highly appraised for other medicinal properties including the treatment of hypercholesterolemia, high pressure and diabetes. Analysis was done by the leading laboratories in the United States – Integrated Biomolecule Inc.